We’re talking about the northern-most part of Nova Scotia, Canada, just above the Cape Breton Highlands National Park. At the mouth of St Lawrence seaway. Just south of Newfoundland. Getting here is half the fun. 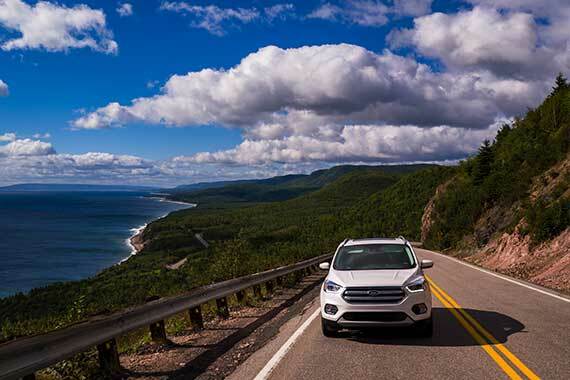 The drive through the Cape Breton Highlands Nationals Park is famous around the world – the stuff of legend for automobile enthusiasts, bicyclists and motorcyclists. And a perennial favorite for car ads on TV. All drive times assume you’re driving the speed limit. Count on some extra time for scenic stops, moose-crossings, meals, etc. Drive carefully and watch out for moose, especially in the park and especially at night. has a great restaurant (Chanterelle). St Anns usually takes a lot longer, unless there’s a lot of cars waiting for the ferry. Fill up the tank at the Canso Causeway if you’re driving at night. During the day you can find gas in Whycogomah, Baddeck, Ingonish, Neil’s Harbour and Cape North. If the weather is clear, take the western side and enjoy the view. If its raining, low clouds, or foggy, take the Ingonish side and save Cheticamp for the return trip. If you’re driving at night, gas up the Canso Causeway or Whycogomah. But really, you should do this drive during the day to enjoy the spectacular view. During the day you’ll find gas in Margaree, Cheticamp, Pleasant Bay and Cape North. The flight from Halifax to Sydney is often expensive. Families and larger groups should consider renting a car in Halifax and driving from there. Save your money for lobster and crab. 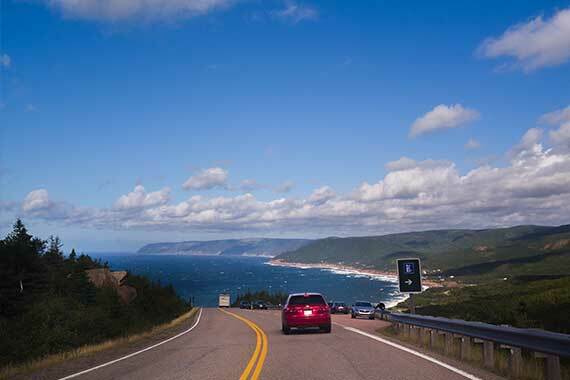 If you’re driving directly to Cape Breton from the Halifax Airport, you can reduce the estimated driving times by 25 minutes. In the summer, Air Canada operates direct flights from Toronto and Montreal to Sydney. WestJet offers a Toronto-Sydney flight in the summer as well.